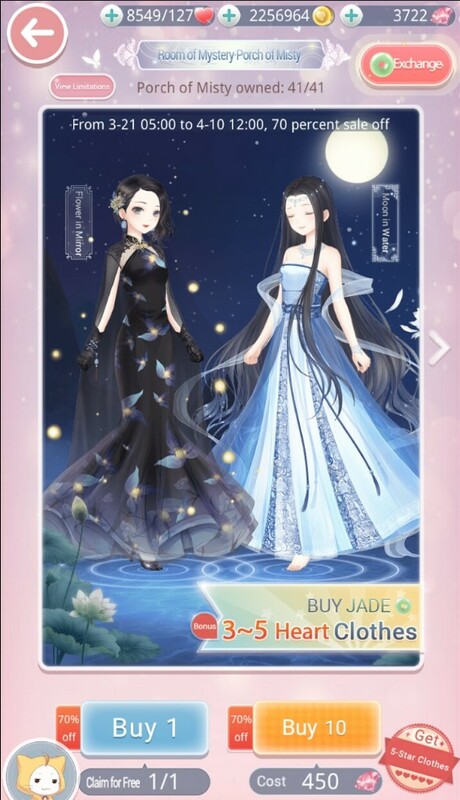 In the main screen, tap Mystery House -> choose Porch of Misty -> Choosing “Buy 1 time” or “Buy 10 times” to obtain the dynamic costumes: Flower in Mirror and Moon in Water. 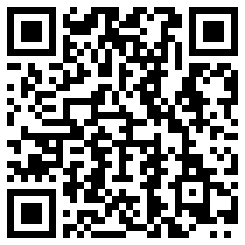 Step 02: Choose Buy 10 or Buy 1. 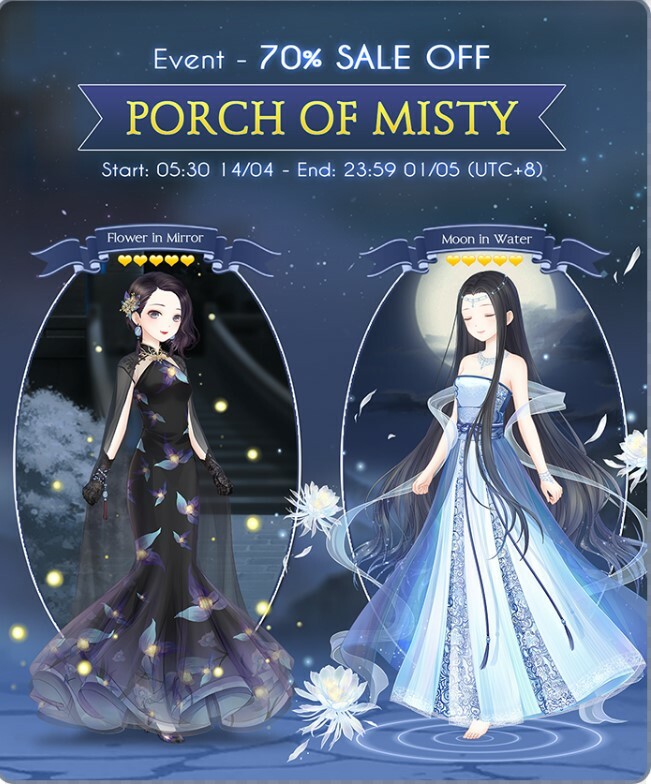 During the event, Porch of Misty will discount 70%. When buying, STAR will have a higher chance to get the costumes.